There was a time I’d been lulled into feckless slumber as a Christian. Maybe it’s the American church. Maybe it was my being over-churched, equating religious marching in place with an abundant life. The mainstream denomination I attended never spoke of the Holy Spirit, much less His gifts and power. But, all the other Christians around me were sorta the same. And, you don’t know what you don’t know. After decades of saying I was willing to follow Christ, countless volunteer hours logged, mission trips taken, spiritual retreats embarked, and a master of Divinity earned…. I’m ready to own up to the fact that I am (finally!) brand new. The lines have been drawn. The regeneration has happened. I teach writing. I nerd out on verbs and adjectives. My mind scours for just the right image, and I tend to look for hidden, figurative meaning in God’s Word. But, this summer God has led me to the place where I can no longer do anything else but claim 2 Cor 5:17 as literal. I don’t think Paul had something purely symbolic in mind when he pleaded with the Corinthians to not return to their old selves. God’s Spirit makes you new. Really. There is a change of the whole being when a person claims Christ both as savior and as Lord, then invites Holy Spirit to fill and transform the mind. The longing of my heart is to avoid being a Cheez Whiz follower of Jesus. I want to live like I’m new. Not some metaphor of Christ’s love, but the real, transformed deal. A woman who doesn’t compromise beliefs in order to fit in. A person who bends her will to God’s plan for her life. A Christian less concerned with being religious, and more focused on what is dear to God’s heart—His lost people. But, I had to get all born again— “again”— and have God’s Spirit crack the religious crust in order to get to that place. If that’s you– feeling far from God’s heart. Feeling more religious than powerful. Feeling meh when it comes to your relationship with the Creator of the Universe, let me extend an invitation to you. 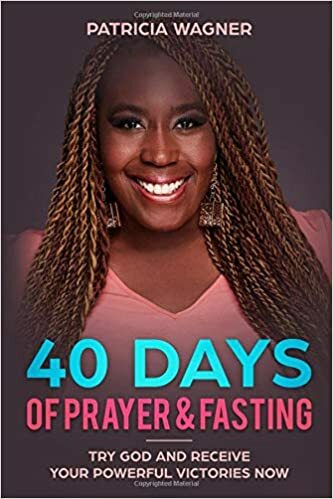 This summer, I took a forty day prayer and fasting challenge from fellow blogger Patricia Wagner. I am providing both the link to her blog and to her book. Hers is a story that began in Cameroon and ended up in England. It’s also one of someone who ran away from God’s calling but became a warrior of a woman, devoting every waking breath to serving God. Every. Waking. Breath. She is victorious because of the God Whom she serves. God has blessed her with a ministry in England, and an extended ministry on television. You never know what can happen when you say yes to following God into the life He has for you. If you don’t know where to start–just take it one day at a time. At least for forty days! See what happens… Put that Cheez Whiz of a life down and get on with being made new. Next Post Mercy, Target, and Back to School….